ROSSVILLE, TN- Mr. Andrew Morman 60 years old of Rossville TN was born October 25, 1957 in Fayette County, TN to the late Wilson Morman and Kizzy Henderson Morman. Services will be held on Saturday, October 20, 2018 at 11a.m. at Concord M.B. Church in Slayden, MS with Pastor Clyde Williams delivering the eulogy. Burial will take place in the church cemetery. Serenity-Autry Funeral Home of Holly Springs is in charge of the arrangements. 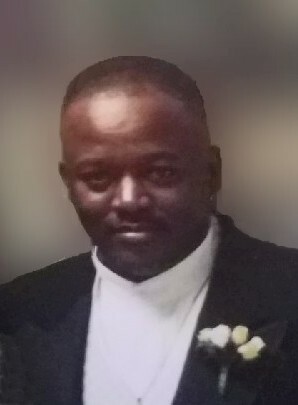 To cherish his loving memories he leaves his wife, Jacqueline Morman of the home, one son Jason Morman of Memphis TN, four daughters Sharonda (Blake) Ollins, LaBridgett Morman, TaVasha Morman and Dominque Morman all of Memphis, TN. He also leaves three sisters Petrola Cox of Chicago IL, Ida Morman and Diana Morman both of Rossville, TN, nine grandchildren and other relatives and friends. Visitation will be on Friday, October 19, 2018 from 4-6p.m. at Serenity-Autry Funeral Home Chapel.